Handmade and practical gifts are once again acceptable as the economy continues to put serious strain on household budgets. It’s not about how big or how expensive your present it, but how much thought and attention you put into it. Truly this is the way gift-giving for any event should be and as households struggle, the focus is once again on what makes a present special, not how much you spent on it. –Microwave Cozies-Microwave cozies are a great way to spread the warmth! Literally! One bag of special cow corn, a few yards of fabric and straight stitch sewing will yield gifts for dozens for less than $30! –Coffee Basket-Give your favorite coffee lovers a gift bag filled with homemade flavored coffees! You can easily make up flavored coffees and maybe even find small, inexpensive jars or containers at a local dollars store to place the coffees in to (thinking ahead on this and watch at flea markets and tag sales for small containers or canning jars and even saving small jars at home that you can wash and hand label will work). –Mixes in a jar-Trying to find a use for those old canning jars? Consider mixes in a jar! You can print up labels and color them in with pencils. Add a bit of ribbon and colorful fabric and you’ve got a beautiful, easy and delicious gift! –Frozen Cookies Logs-Make up batches of your best cookies recipes BUT instead of baking them off, roll them into logs, then wrap in plastic wrap and then place into freezer bags. Keep them frozen and then arrange them in baskets last minute to give as presents. People pay big money at the grocery store for cookie dough in the fridge or freezer section because they’re craving the smell and comfort of home baked cookies. All they have to do with your logs is defrost and bake off. Include a nice handmade recipe card with the cookie logs with baking directions. 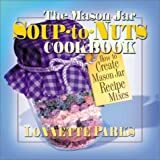 –Your Best Recipes-Are you the one that always bakes and cooks great dishes and has everyone asking for your recipes? Well, now’s the time to give them; as presents! You can find recipe books at dollar stores and other shops for very little. It will be your time and effort of writing down those recipes and organizing them for friends and family that will be the real gift! –Chores Coupons-Do you have a skill or talent that you think others would love to utilize? Maybe you have a chain saw and you know a friend that has a tree he’d love to take down. How about a coupon for a day’s worth of chainsaw work? Maybe you are a great baker? How about giving friends coupons for a loaf of homemade bread when they present the coupon (with notice of course)? I know my neighbors covet my homemade bread! Perhaps you have a friend who could use an extra hand with housekeeping or grocery shopping? How about a coupon gift for that? You’ll think of something. The idea is that presents don’t have to be pricey. They can be homemade and from the heart but not be hard to make or require special skills either. With so many people getting back to the basics of life with this economy, your homemade and practical present will be welcomed more than ever before. This article is by Tammy Paquin, owner and publisher of Frugal-Families.com. It is available for reprint with ALL links active. This entry was posted in Christmas Articles and tagged homemade presents, thoughtful practical inexpensive gifts on October 27, 2009 by admin.